I think this concept is awesome. 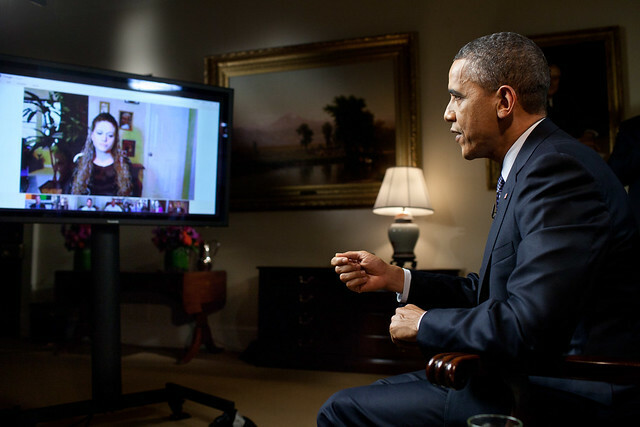 We have come to an age where we could be part of a video chat session with the President of the United States and be able to openly ask him questions about the country and his decisions. I can see this becoming more common in the future and it shows how technology really can change things.